IMAS scientists and students are involved in the following programs. If you'd like us to come and visit your school to explain our science and engage Australia's future marine biologists, glaciologists, and oceanographers, follow the links below to see how your school can be involved. IMAS scientists are involved in the SMiS volunteer program. This programme bringing real science, mathematics and ICT into the classroom through ongoing flexible partnerships between teachers (K-12) and scientists, mathematicians and ICT professionals. Through SMiS partnerships, teachers and students engage with scientists, mathematicians and ICT professionals (STEM professionals) in their classroom. Together the partners share enthusiasm, expertise, and knowledge to enhance science, maths and ICT teaching practices. 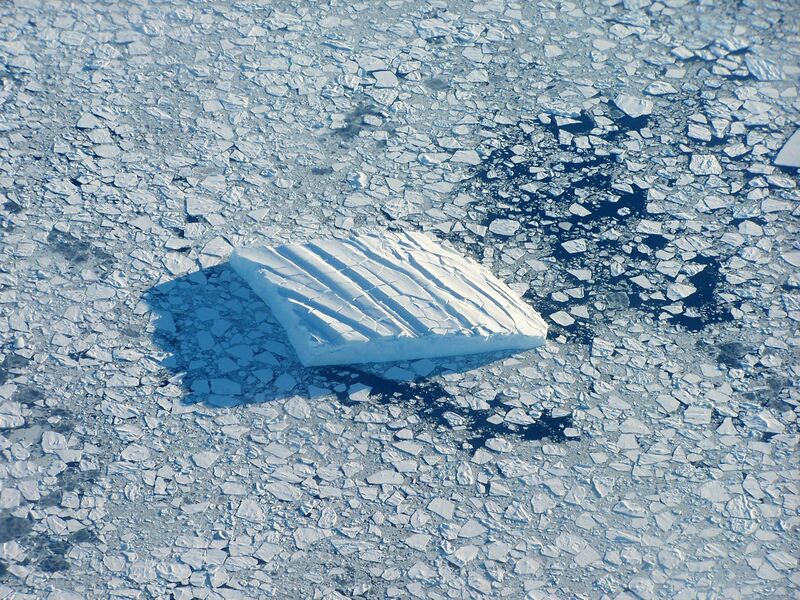 IMAS scientists and PhD students are involved in the Young Antarctic Scientists program. 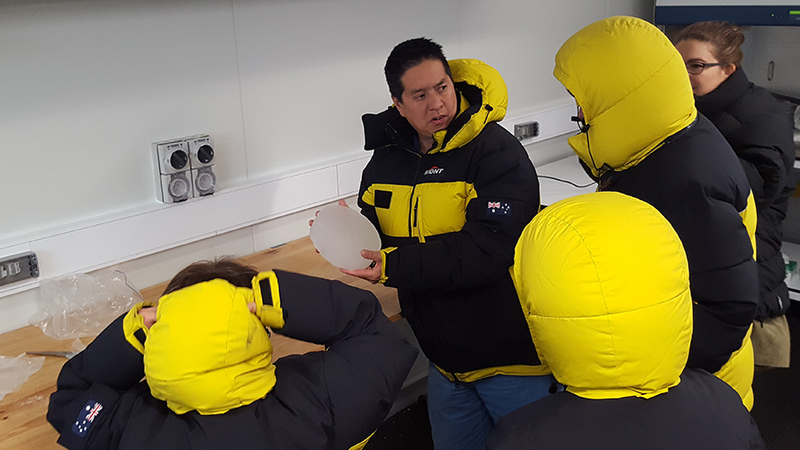 Each year, two Year 4 classes in Hobart are involved with regular visits from our Antarctic scientists. 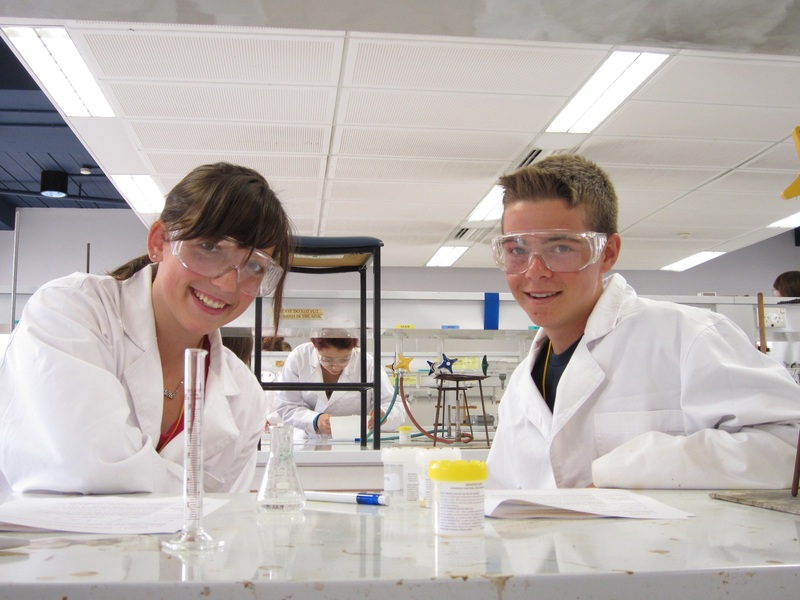 We have many of our young scientists in the Young Tassie Scientists group. YTS involves early career researchers and scientists who are passionate about their work and can connect with a range of audiences. They present talks and activities based on their work to schools and communities around Tasmania, and are widely profiled ambassadors for science, engineering and technology during National Science Week. 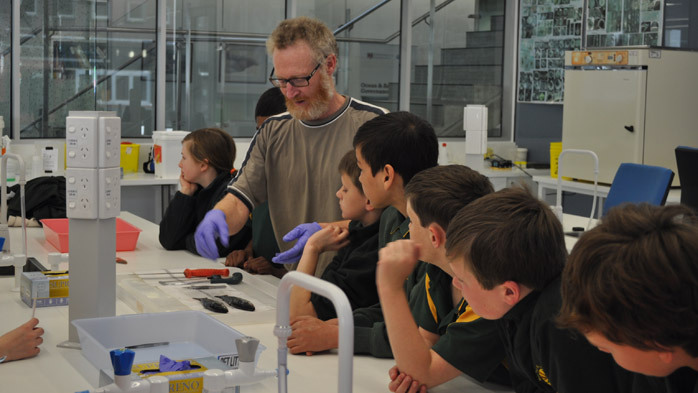 The Young Tassie Scientists help engage and motivate students about science and science careers – and also provide teachers with the opportunity to strengthen their knowledge of current research. By providing dynamic and inspiring role models, engaging hands-on activities, and information on educational opportunities and future careers, the YTS program encourages younger. For more information on how your school can get involved, visit the website. IMAS is involved with the annual National Science Week, and in particular the Festival of Bright Ideas which occurs annually in Hobart and the Bright Ideas Festival on the West Coast of Tasmania. IMAS annually hosts tours of our facilities during Science Week. For other events at National Science Week that involve schools, and for lots of resources on Science, Technology, Engineering and Mathematics in Schools see. At IMAS we know that lots of high school students already have a passion for the marine environment. 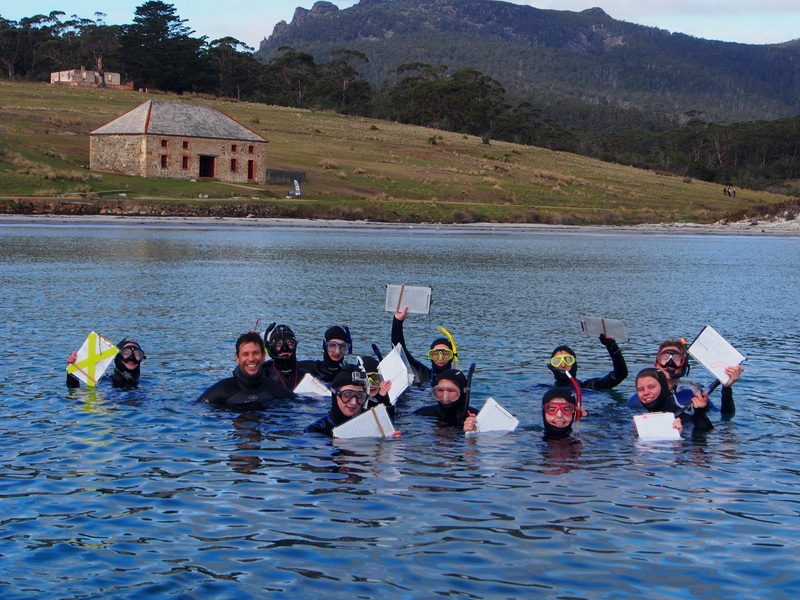 By enrolling in our University College Program unit A Practical Introduction to Marine Biology, year 11 and 12 students can experience a hands-on curriculum set in the beautiful Tasmanian marine environment and get a head start on their university studies. The course is run annually between term one and term two. For more information on enrolment, visit the University of Tasmania course and unit handbook. The Bookend Trust is a not-for-profit education initiative that seeks to inspire students and their communities with the positive environmental careers they can build making the world a better place. Through Bookend's Antarctic project, students meet with researchers to discuss their current research and mentor them in the collaborations and skills needed to make this research work. Students also have the opportunity to engage with researchers directly via video links while they are on the ground in Antarctica, and to join an Antarctic flight with experts and fly over the frozen continent themselves. The Tasmanian Youth Science Forum is a program for Tasmanian year 11 & 12 students with an interest in science, engineering & technology. 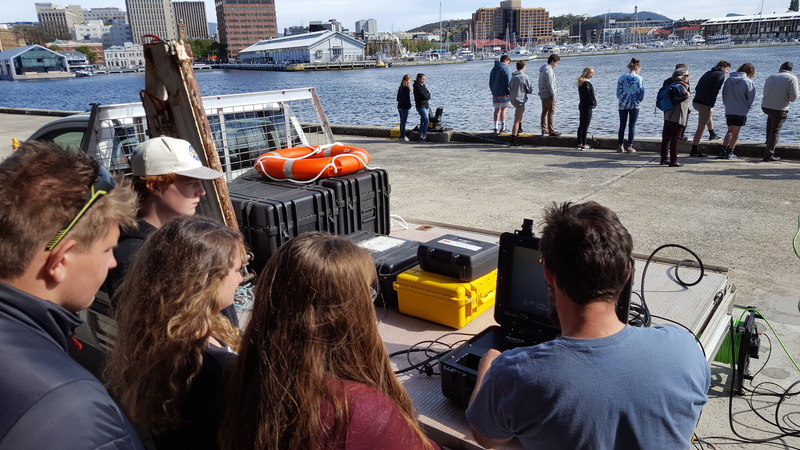 Participants will spend 3 days at the University of Tasmania taking part in a variety of workshops with University researchers and students. Students often have the chance to visit IMAS and undertake a workshop and speak with researchers. The Science Experience is a three-day program of science activities held during the summer holidays for Year 9 and 10 students. Students participate in a range of hands-on science and engineering activities held on campus under the guidance of university researchers, and take part in laboratory sessions, fieldwork, tours of facilities, and team challenges. IMAS participates in this program in the north and south of Tasmania. Students (Year 5 – 12) carry out a science investigation and present their findings to science/industry judges. The Awards are supported by Tasmanian industry and community organisations, and offer generous cash prizes. Judging days are held on Cradle Coast, Launceston and Hobart campuses in August-September each year. The Science Investigation Awards include the categories: Physical Sciences, Health , Engineering, Agricultural Science, and Environment. IMAS students and researchers regularly participate as judges. 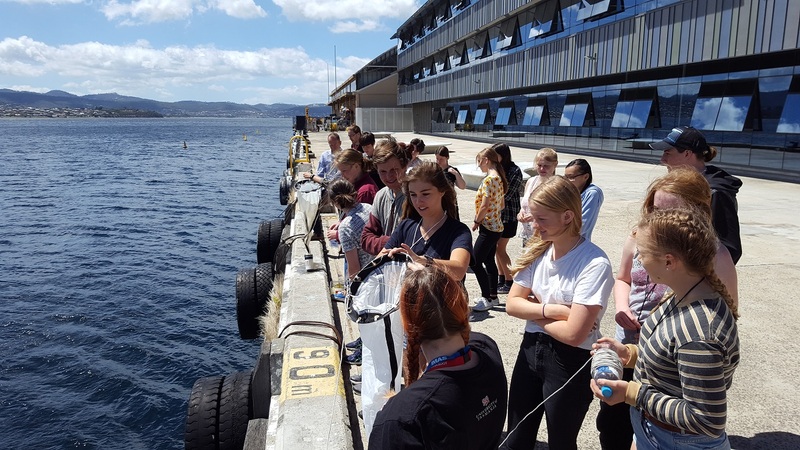 The Tasmanian Working on Water (WoW) Program was created by the Tasmanian Seafood Industry Council to introduce students from Years 9 and 10 to a wide range of career opportunities in the marine sector. WoW is a ‘hands on’ career pathway program that will introduce students to the diverse range of professions available on, in and around the marine environment. The types of careers available in Tasmania is incredibly diverse, and includes positions in the seafood industry, marine sciences and tourism. IMAS has played a central role in both the northern and southern programs and provide venues, presenters and activities for this program. If you or your class are unable to make it to any of the above events, here are some helpful links to other teaching resources.